Rochester Automated Systems is a full-service design-and-build machine tool company. Our concept-to-completion engineering expertise creates automation solutions for a wide range of industries and manufacturing processes. 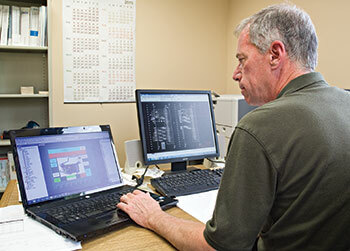 You can rely on our experienced staff of designers and toolmakers to solve your most complex automation challenges. Our personnel average 20+ years in the automated machine business; we have in-house mechanical engineers as well as control engineers. We also have experienced contract design resources available, enabling us to easily expand our capacity to meet your requirements and schedule. Our in-house fabrication capabilities are complete for machine tool builds, and our close working relationships with other machine shops allow us to handle virtually any job, large or small.